I find waterfalls fascinating. I’m not sure whether it’s the wonder at the sheer force power of the falling water or the thought that this natural phenomenon has been carving it’s way through the rock for thousands of years, but I can’t help but be captivated by them. I can never resist photographing them! 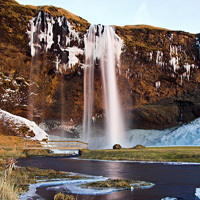 Hopefully guide and equip you to making a start in waterfall photography. First things first, you’ll need to find a good waterfall to visit. 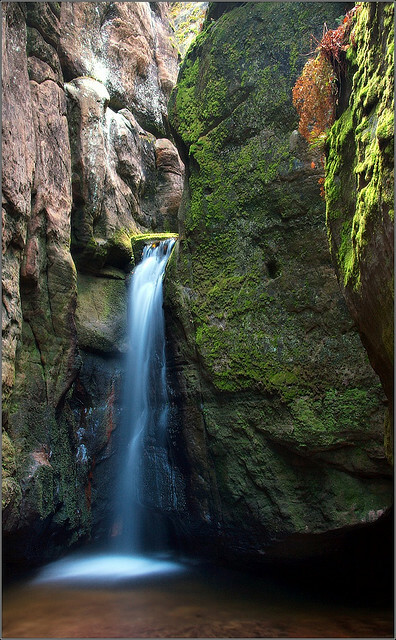 There are a few ways to search out prospective subject matter, you could ask fellow photographers or look over a detailed map that will pinpoint the location of waterfalls within a given area. The best maps I’ve found are made for kayakers or whitewater rafters. They really need to know where waterfalls are located. Another option is to simply Google the area in which you are hoping to photograph. The places that you find may not be the most stunning of locations, but it will be a great place to start to learn the basics regarding composition and utilizing shutter speeds. It will also equip you for larger outings. We all need something to lean on, especially our cameras. Particularly when we’re going to be using long shutter speeds, tripods are essential. Waterfalls don’t lend themselves to being located by nice areas of flat ground, in fact, the majority that I’ve been to are surrounded by slippery wet rocks, so you’ll need to find yourself a very sturdy and strong tripod. There’s an old saying about tripods. You can get something cheap, light or stable; pick two. You can pick up a standard tripod fairly cheaply, but if it’s cheap and stable, it’s going to be heavy or expensive. Nature photography usually involves hiking, so it’s worth investing in a high end tripod that will be able to stand tall in testing conditions and be light. You could visit an online camera store that will display a full range of models and designs and then maybe head to your local camera retailer to see what they have on offer and try some out to see what works for you. 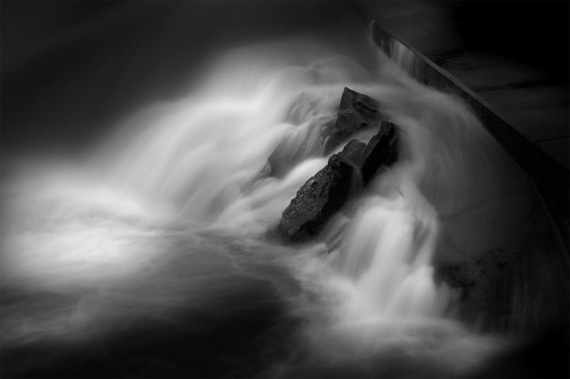 Step 3 – What’s Motion Blur? In order to capture the water in motion, you’ll need to be well practiced at effectively using the shutter speed functions on your camera. Set your camera to shutter speed priority mode and select a speed of around 1 or 2 seconds. You’ll need to ensure that your camera is perfectly still, so pop it on your tripod. Using it handheld with such a long shutter speed will produce unwanted blur throughout the shot. We want the moving water to blur, but for the rest of the shot to be sharp and focussed, so you can afford to set the f-number quite high, maybe f/16 or f/22 to achieve the correct depth of field and set the ISO quite low, at something around 100 or 200, as you’ll be using the shutter speed to ensure you’re letting in enough light. Practice with your faucet or even people walking down the street. 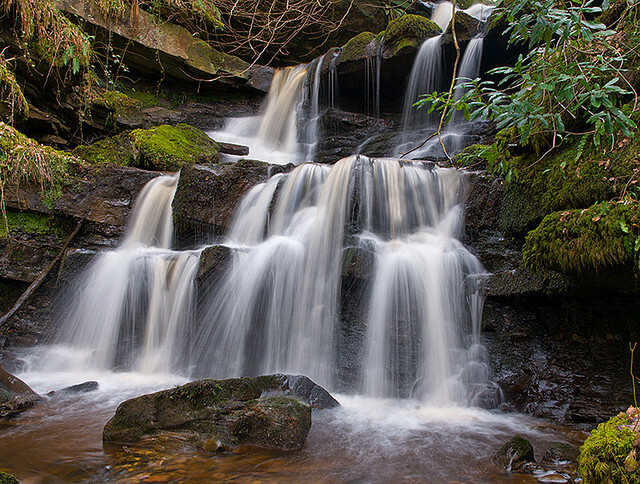 Using a polarizing filter will really maximize your waterfall shots. Their primary function is to cut down the amount of light entering the camera. But the light it cuts is directional. Understanding how these work isn’t as important because you can see the effect before you shoot. A polarizing filter is particularly useful as it will not only add definition to the sky, but also reduce any unwanted reflections from the water. This is particularly useful if you’re working at a waterfall in which you are featuring a large pool at the base of the falls. Polarizing filters are relatively inexpensive compared to most camera gear and the extra definition that it provides will really enhance your shots. Step 5 – Where’s the Drama? Once your on location, you’ve got your tripod in place, you know your shutter speeds, and you’ve got your polarizing filter set, all you have to do is take the shot right?! Well, not quite. There’s still the small issue of composition to think about and regardless of how well you are set up, if you don’t compose your shot effectively, it will be lacking that drama and excitement that you’re looking for. 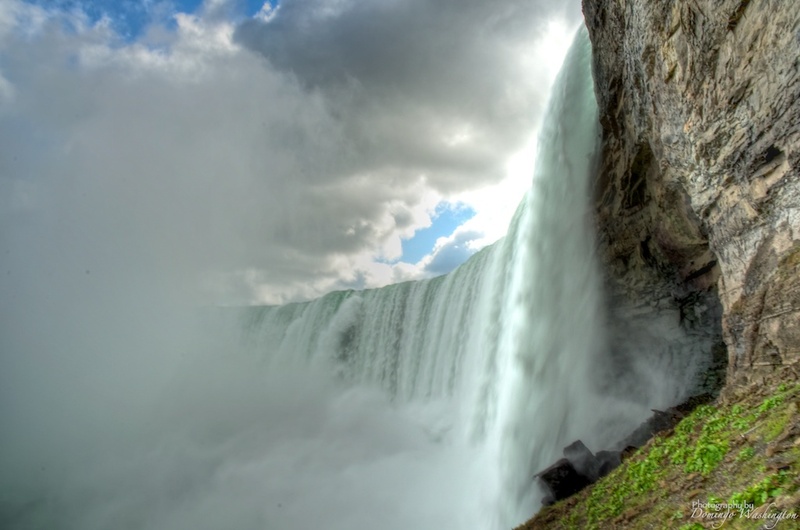 Think carefully about the angle at which you approach the falls. Do you want to shoot head on, from the side, from below looking up towards the point of descent? 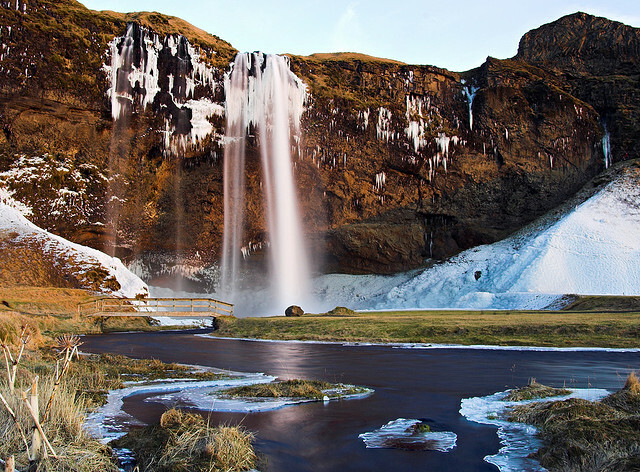 Do you want to simply feature the waterfall, tightly cropped and focusing the rushing water, or do you want to put the falls into context, with more of the surrounding landscape? Waiting for the right light is also essential, shooting in the middle of the day will be difficult as the light will be very bright and reflect off the water, where as shooting in the early morning or late evening will offer a much warmer light. The best way to learn composition and timing is to analyze other people’s photographs. Find photos that you like and take away some inspiration from them. Flickr and Deviant Art are both great websites for finding awesome photos. 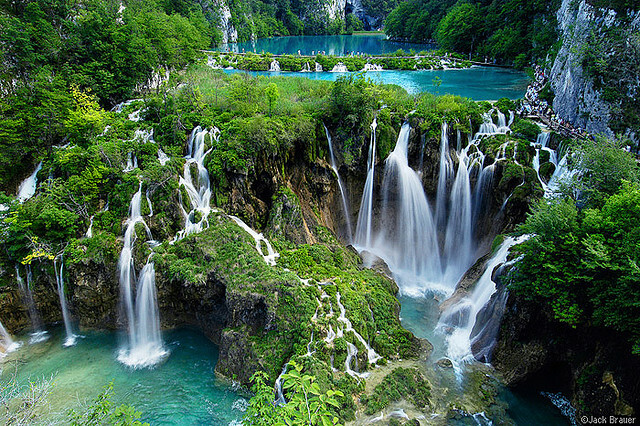 Browsing Envato’s new site PhotoDune might provide you with some insight into waterfall photography, too. I think of photography like music. All the best musicians started out imitating their favorite bands. Then they took the influences of those favorites and melded them together forming their own style and sound. Don’t be afraid to imitate, especially if you’re just starting out. No two photos will ever be exactly the same anyway.